How do I remove a piece of equipment from being active? Tap on the piece of equipment that you would like to set as inactive. 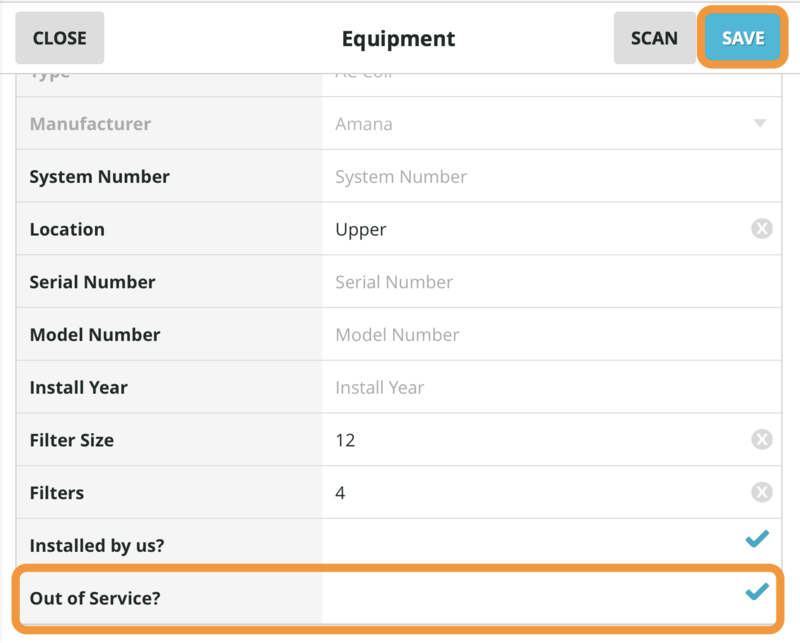 Select the checkbox for Out of Service? You will now notice in the Equipment List that the piece of equipment is now listed in red as Out of Service.